Erik Michael Estrada give me goosebumps in a good way. He is so fine & he’s a sweetheart. I never got a chance to meet him & the boys or went to their concerts but I did see them on O-Town – Making the Band season 1 – 3. 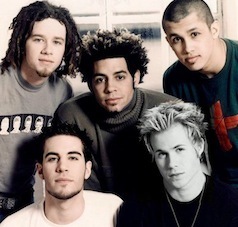 I think Erik Michael Estrada, Jacob Underwood, Trevor Penick & Dan Miller should come back with another season while they record the album called “reloaded”.